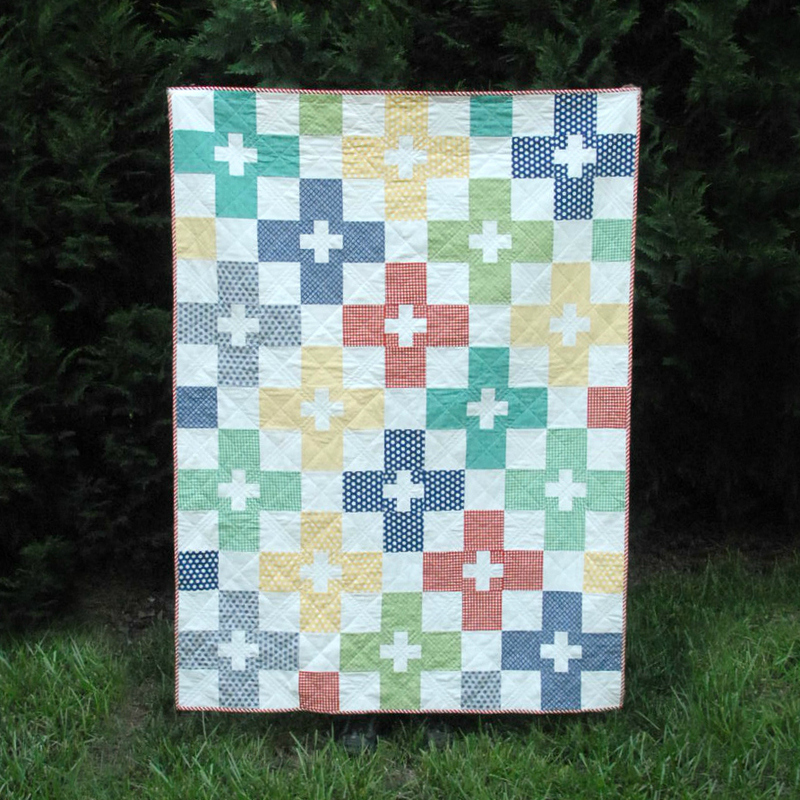 I am revisiting an old pattern of mine today, Check Plus, one of my first plus sign quilts and my first quilt/pattern in a magazine. I originally made Check Plus in some Bonnie and Camille fabrics all of the way back in 2014 for Quilty Magazine. I remade the quilt in a baby size for my new nephew. 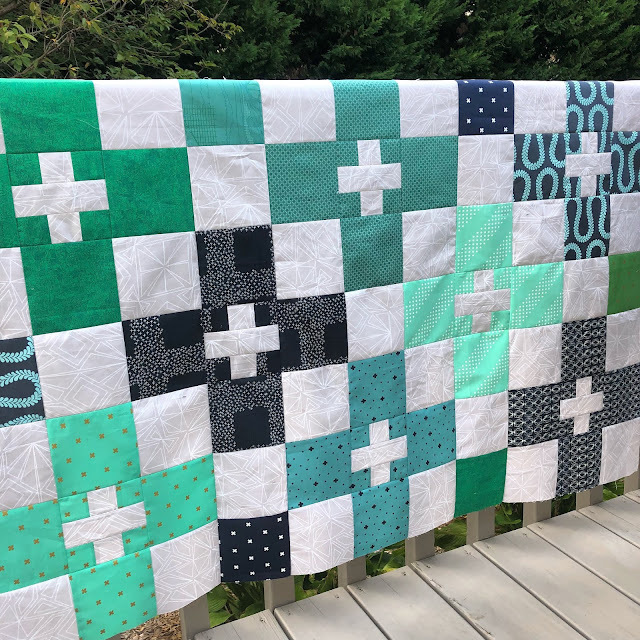 For this version of the quilt, I used various blue and green fat quarters from my stash paired with a gray print background by Angela Walters (this print was actually the remnants from a wide backing fabric from my Flutter quilt). I backed the quilt with a teal shot cotton which is not only a beautiful color, but also super soft. 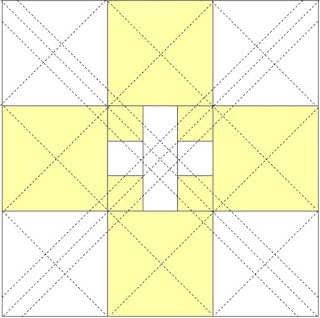 I decided to quilt the quilt the same as my first version, with a variation on a cross-hatch using the piecing as a guide (no marking makes me happy). You can see some additional versions of Check Plus over on Instagram #CheckPlusQuilt and grab a copy over on Etsy: digital, paper. 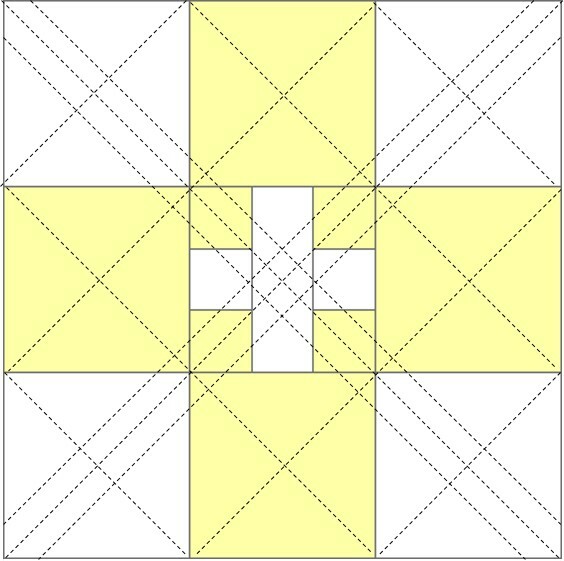 The absolute perfect pattern for a baby quilt! I love this pattern for a baby and the quilting is delightful. Obviously, kitty is very fond of it too! 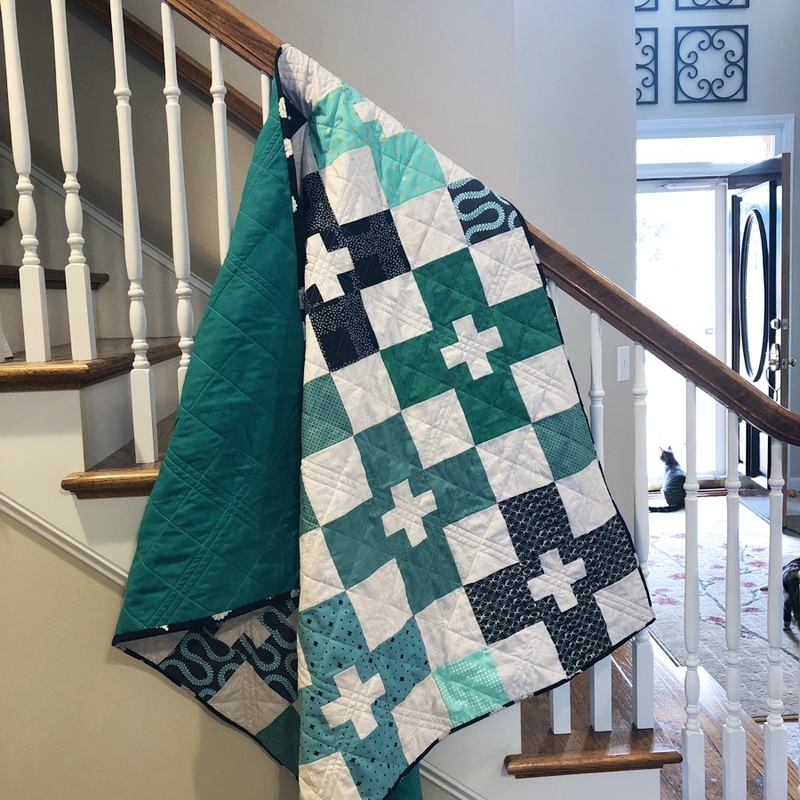 Wow this quilt is absolutely gorgeous in blues and teals! Perfect quilting density too, makes such a cuddly looking quilt. This turned out really cute, Cheryl. It's a perfect baby quilt - maybe Reeses needs his own! Very pretty quilt. I really love it and it's perfect for a boy. I love your quilting design too. Perfect for the quilt. 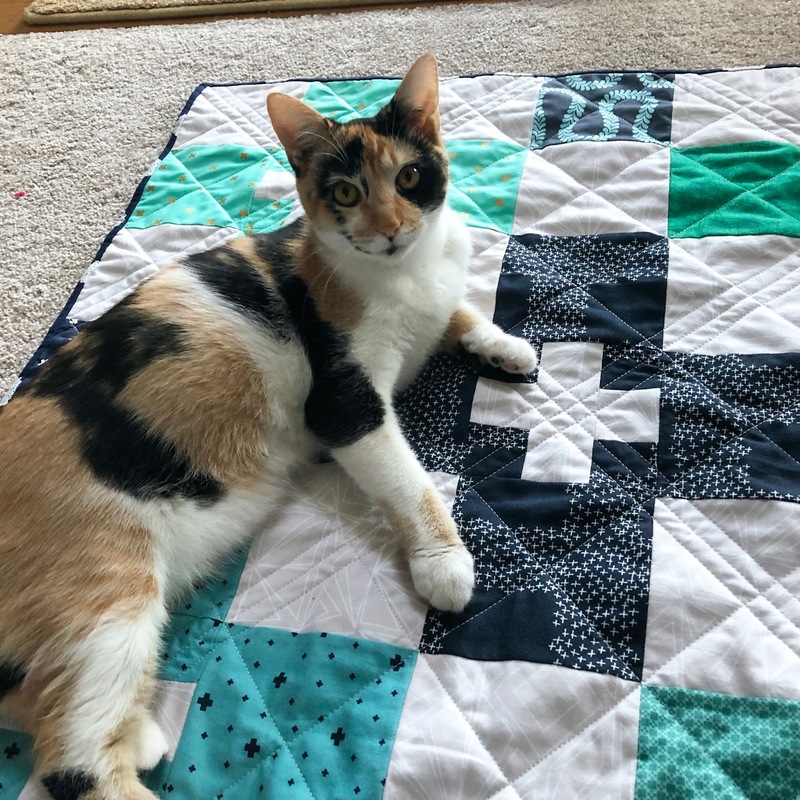 I love this version and that Reeses approves of the quilt. My goodness how she has grown!!! It’s fresh and lovely. The size is good also! I made this one for a friend of mine as she headed off to college. It definitely gives off positive vibes, and she's doing great! It's a great pattern, worth repeating. Great pattern. And I love how you quilted it. What an adorable baby quilt and the quilting is fantastic! I love the colors in this!!! Beautiful quilt; hope the nephew gets years of love from it. Great quilt and this looks like a very handy pattern for using up some of that stash! I've added it to my pattern library. Thanks for the re-make! Such a fabulous quilt for your nephew! I have this pattern of yours and you’re making me want to make one now! This is a really great version of this quilt. The greens and blues look wonderful together and it makes a great gift for your nephew.